Contains articles pertaining to discovering LanSupport’s features. The FAQ’s listed below are meant for existing users of LanSupport. How do I clear a clients password? Click on the New User button on the system users list page. Enter the full name, Login ID and email address. Enter the Domain the person belongs to on the network. (To be used for single Sign-on). Enter the phone and pager numbers. Select the person who the call should escalate to; Person who should be notified if the call is not resolved within a specified period determined by the Priority setting. Select the Designation; Job title of the system user. Enter the location where the system user is based. Enter the support level that the system user belongs to. You can not delete a system user from the system if the user has any related calls. To delete a system user who has no related calls, tick the check box next to the system user name in the System Users list and click on the delete button. If the system user has any related calls, you can only make him/her Unavailable which free’s a licence. See how to make a system user Unavailable. Select the client from the client list by clicking on the client name. On the page that opens tick the check box at the bottom right “client name is not active within the system”. Can I close several calls together without going through one by one? Yes you can. Make sure that “Enable batch operations for calls” option is ticked. (under Options in the Setup menu). On the Master call list tick the check boxes on the extreme left of the page for all resolved calls that you would like to close. Move to the bottom of the page and click on the Close Selected button to close all the selected calls. Can I close a call without confirmation from client? Yes you can close a call without confirmation from the client, if you have the permission to close calls and under options menu make sure that the check box “Call’s can be closed without confirmation from client.” is ticked. Can LanSupport create calls from e-mails? Yes it can, please refer to the Service Manager End User help manual and check on POP mailboxes. How do I increase the escalation time period? The escalation time is determined by the set priorities under setup menu. A Business Unit is a Logical element or segment of a firm (such as accounting, production, marketing) representing a specific business function, and a definite place on the organizational chart, under the domain of a manager. They are also called department, division, or a functional area. 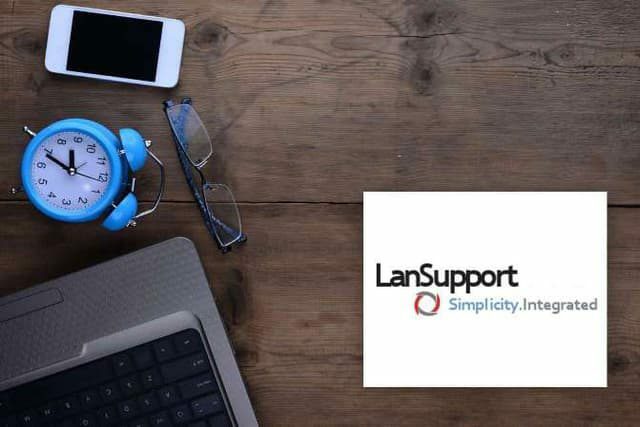 One single insatallation of LanSupport can be used as multiple helpdesks with the admin User been able to view incidents across Business Units while the other system users are able to only see issuses related to there Business units. Please keep checking for new FAQ’s, or send us an e-mail on an FAQ or Guide you would like added here.